He was white as a sheet. And he also made false teeth. It was that time again, the record show! Oddly it was on a Saturday and the crowds was a bit down because of it. I bet there will be a bit of people showing up tomorrow looking for it. Anyway, it was more of the same. Same dealers, same overpriced records. I really should stop going, but I'm an optimist and I keep expecting a boat load of stuff. Sadly this time I had spent about $12 total? I'm writing this up before listening to them all but I suspect I'll like them all. I spent $1 each on nearly everything here. 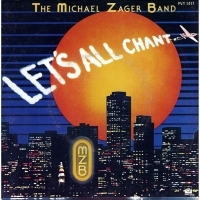 The Michael Zuger Band - Let's all Chant. - Listening to this one now! I have always heard the "Ooh-ah! Ooh-ah!" shout but I never knew it came from here. Pretty good 1978 disco too. Pity the vinyl is so scratchy (looked clean though). I got it mostly because of the Disney Disco remix on the back which I couldn't find online. The Hi-Ho song, it's general beat, sounds a lot like the one Bruce and Bongo used in their cover of it. I'm thinking they may have covered this version of it rather than the Disney original. Alan Parsons - Try Anything Once - I bet I have this one, but I was like eh, whatever. I like APP and I don't recall playing this one. A CD for a dollar, who cares if it's a double. 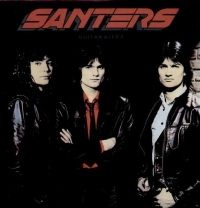 Santers - Guitar Alley - Seems it's produced by Triumph's Rik Emmett which is good enough for me. I like about half of Triumph's stuff, so why not give it a try? 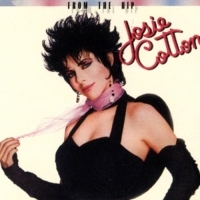 Josie Cotton - From the Hip - I know of this gal by her famous Johnny Are you Queer? song, which is one of the more famous gay songs out there. Hoping the rest ain't bad! 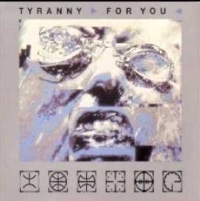 Front 242 - Tyranny For You (digipack promo edition) - Just what I was in the mood for! Industrial Synth Music. There was a very short period in the 90s where a lot of this stuff was almost progressive sounding, as if they made stuff like Erasure, Pet Shop Boys and the like way more interesting and heavy sounding. I paid $3 for this as it's not common to find this music in the wild and I rather liked it when I sampled before buying. 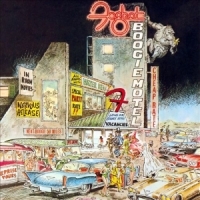 Foghat - Boogie Motel - I liked the other Foghats that I have in my collection, but those didn't go "boogie" either. Seems like this one is one of those desperation LPs where old fart bands tried to change their image to be hip but only end up embarrassing themselves, like ELP's Love Beach. Still I like these types of LPs as they are quite interesting. Oddly I've never seen this one before, so it probably sold very poorly. Alec R. Costandino - Romeo & Juliet - I loved and I mean LOVED his Hunchback of Notre Dame LP and it's one I've played many times over. I have R&J on MP3 and it's not as good, just ok, but it seems to be way more popular. Anyway I love Alec's stuff and he seems to have released a lot of it under different band names. I probably have at least half of what he released now. Celi Bee - Alternating Currents - No idea what this will end up being like, but I do recall being interested in it before. Lesbian looking woman, a synth-like album name, obviously disco of some sort, she thanks Meco Monardo (another producer I like) and so on. Luckily I'll listen to most disco, so I doubt it'll be a dud. 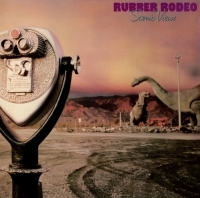 Rubber Rodeo - Scenic Views - Not sure what this is either, but I tired it on Youtube and the first song was REALLY good, so we'll see how good it is as an entire LP. 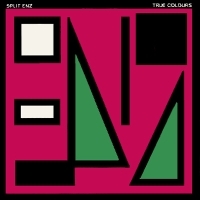 Split Enz - True Colors - I may or may not have this. There was a lot of CDs for only $1 of 80s New Wave pop stuff that I had at one time but sold off or I may still own today. This could be one of those. I remember some Split Enz being progressive, so I thought I'd try this one again as I couldn't remember anything about it. The group and the Finn brothers stuff has been on my bucket list to try for years now. 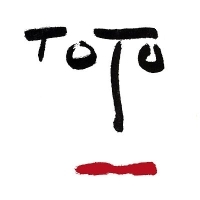 Toto - Turn Back - I think this may complete my Toto on CD collection up to the "The Seventh One." I have to double check and make sure about which I have and don't have, but I know I never owned Turn Back on CD. In fact, I've never seen it on vinyl, it was a poor seller, so I was pretty happy to find this one. It's one of those smooth edged cd cases, so it's one of the very oldest pressed cds, circa 1985 or so. And the last thing I got was 3 CDrs for a $1. The Avalanches (I think someone copied the normal album but randomized the tracks, but I wasn't sure, so I bought this for any rare tracks. The Pet Shop Boys "Mixed Tracks" (lots of remixes that I never seen before). And The Streets (random stuff probably all LP stuff, but I had to pick a random third to get my money's worth. Not really sure if I'll like this much as Streets is a bucket list band that I've been meaning to try out for years now). Overall an average day. I miss the days of buying dozens of cool musics but my collection is so large these days that I have almost everything I could ever want. Oh well!